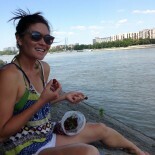 Wrapping up at Fronton de Tolosa | eat. write. smile. The BasqueStage is sure keeping us on our toes! 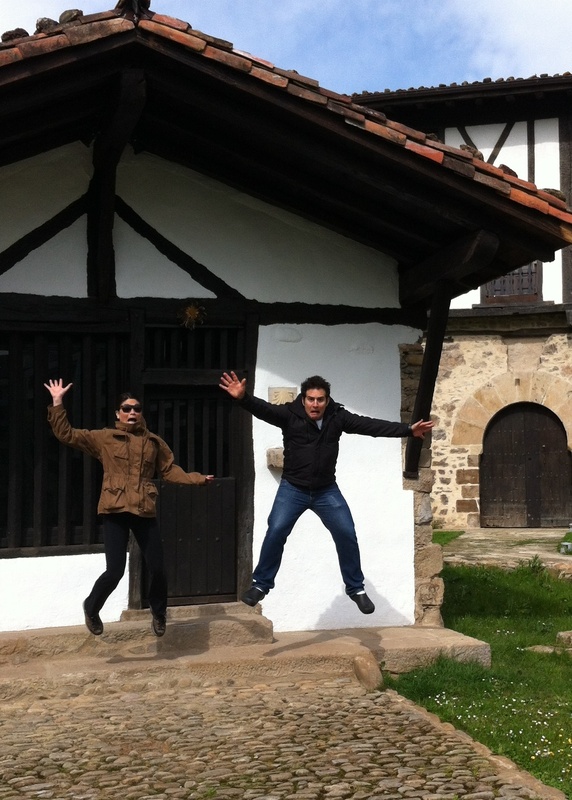 Fellow Sammic scholar Elisha Ben-Haim and I recently finished another stage, this time at the traditional Basque restaurant Fronton de Tolosa. Named for the cavernous hand-ball court attached to the back of the building, the Fronton specializes in seasonal vegetables and alubias con morcilla, slow cooked black beans with blood sausage. 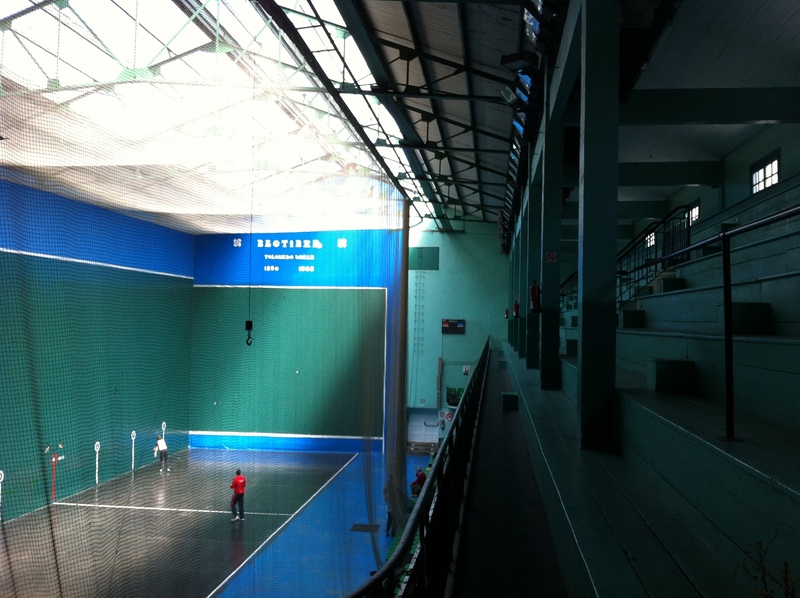 The enormous handball court (for pelota and jai alai) that shares a wall with the restaurant. The chef de cuisine Javi made a point of bringing Elisha and me along for his morning shopping trips. 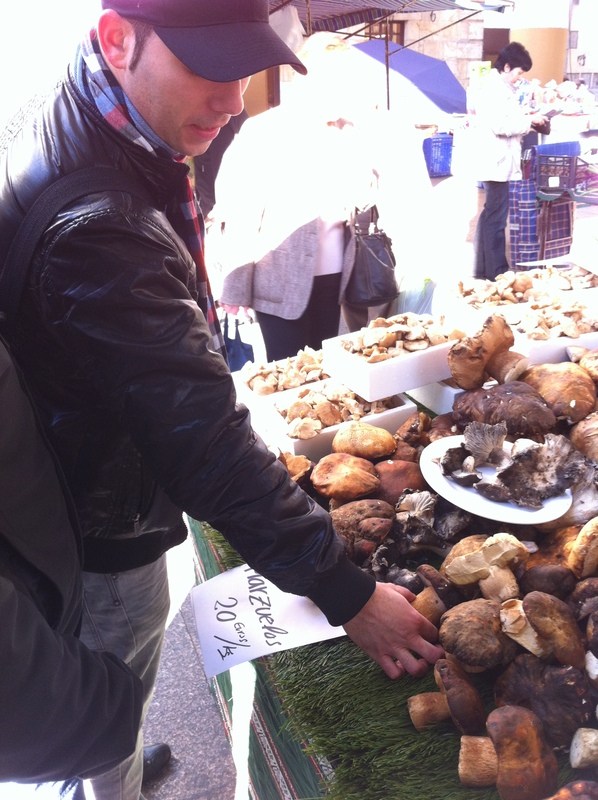 Javi inspects xixas, setas and hongos (different types of wild mushrooms) at market. 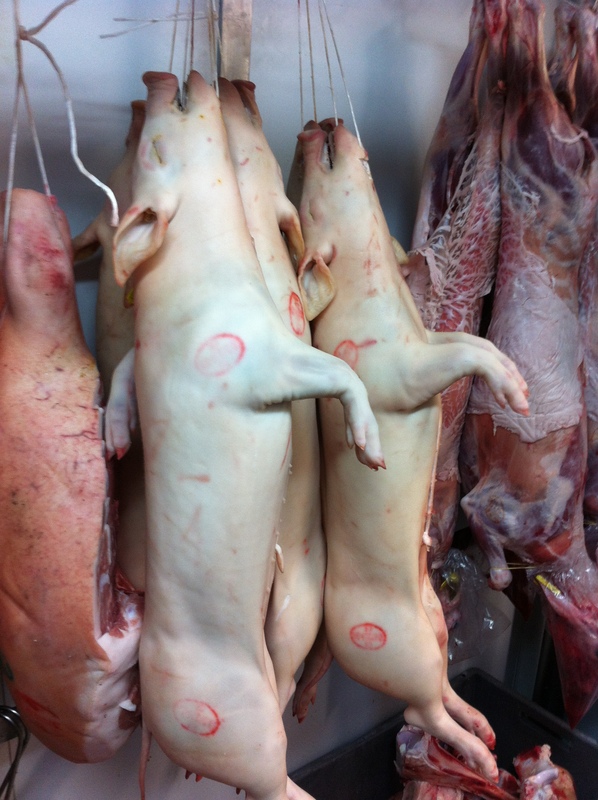 We visited the Olano carniceria in Beasain, which has to be the most accommodating butcher shop I’ve ever visited. They’ll cut a piece of meat any way you like, and they’re happy to talk to you about your options. They make the blood sausage for the alubias dish at the Fronton. 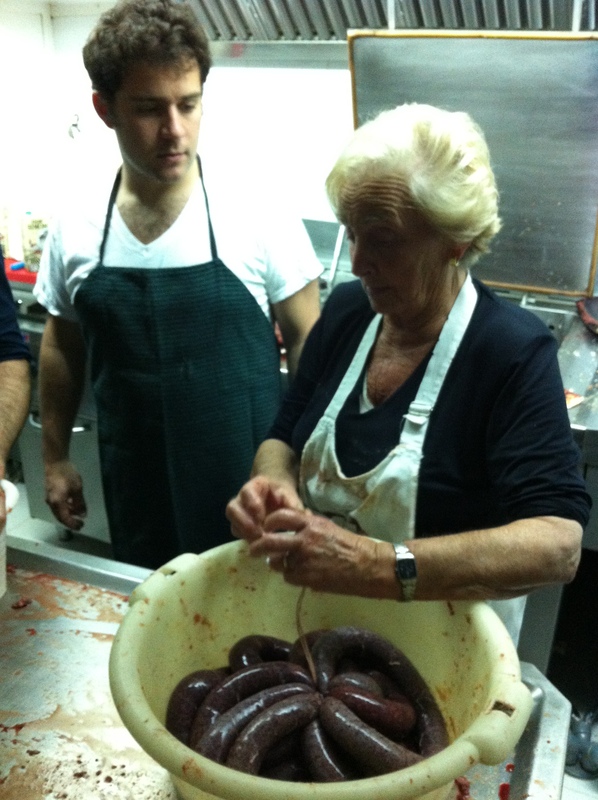 Elisha learns from Senora Isabel Olana, who has been making morcilla for over fifty years. Luis stuffs sausage faster than you can say chorizo. They also keep plenty of cochinillo (suckiling pig) on hand for Javi when he needs it. Whether you say lechon or lechazo, I just call it delicious. After the butcher shop, our morning visits included the Noriega pescaderia where we learned about the bounty of the Cantabric sea- anchovies and albacore. 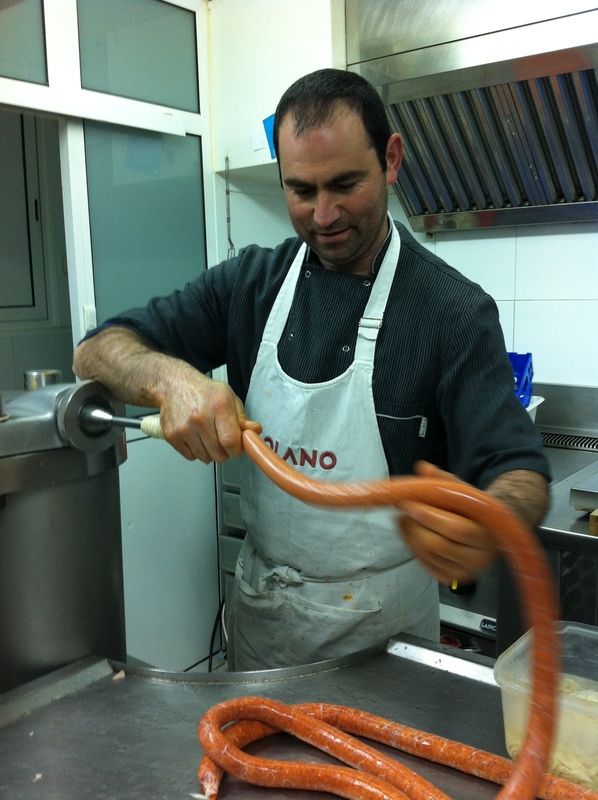 Alfonso shows us how to clean anchoas quickly and precisely. 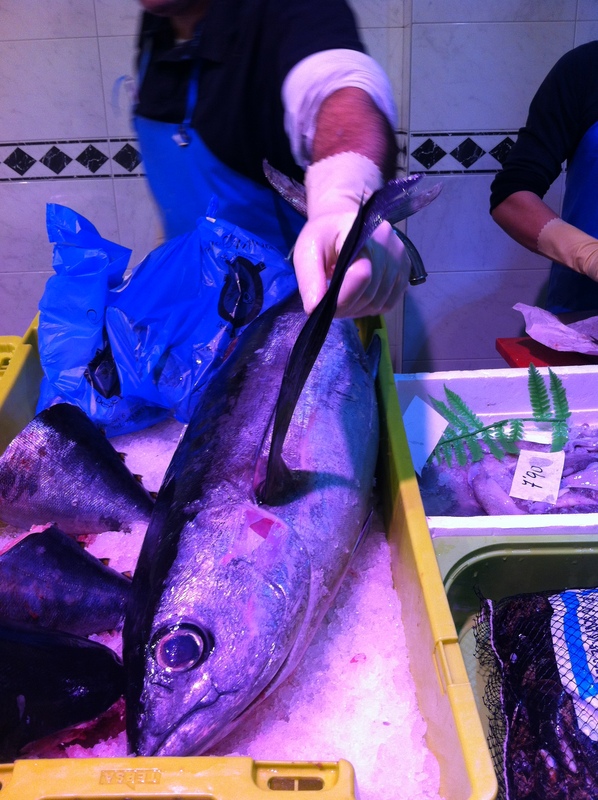 Easy way to tell bonito tuna from its cousins? Fin length. After rounding up the day’s best ingredients, we would head back to the Fronton for mise en place and service. Our days at the Fronton always included a sit-down family meal lunch at 12:30, no matter how busy we were. Then we prepped vegetables or worked with line cooks Txama and Josu’ through service. 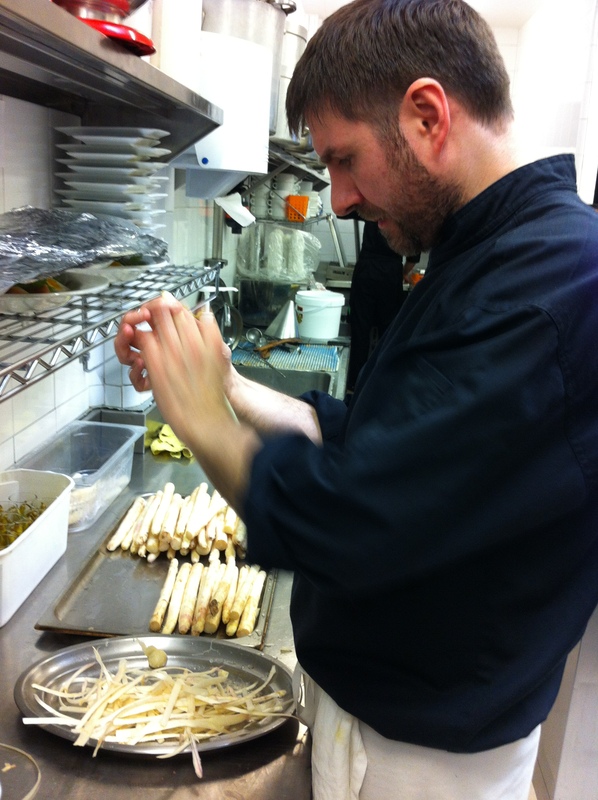 Txama expertly peels esparragos de Navarra- white asparagus. The time I spent with this kitchen crew was a tremendous learning experience in terms of raw ingredients. The quality of the meats and fish, the freshness of the vegetables, the dedication to local purveyors: these elements of the Fronton kitchen inspired me as a stagiaire and will continue to inspire me as a chef in the future. Lastly, the crew from the Fronton now feels like family. Though we were in the kitchen for a short time, I know I’ve made great friends. Sonia, you better come visit me in California! 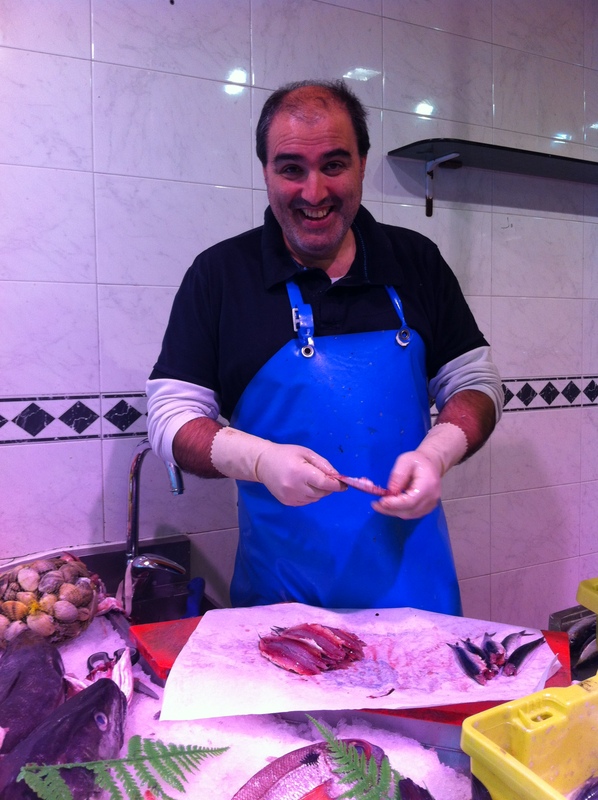 This entry was posted on May 21, 2012 by Ruthie in BasqueStage, Fish, Garden, Markets, Travel and tagged BasqueStage, Elisha Ben Haim, Fronton de Tolosa, Sammic.